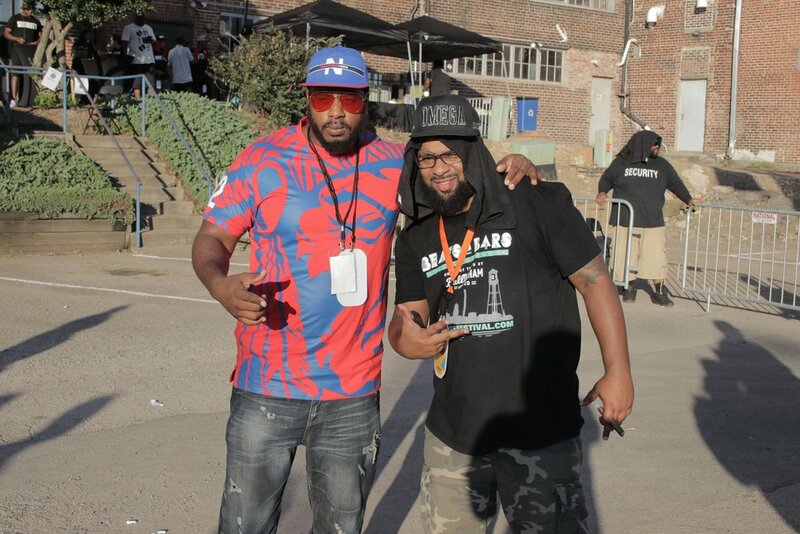 Pictured: V8ga & Bishop of Intelligently Ratchet Strike a Pose! Beats & Bars Festival 2017 was nothing short of a classic hip hop video. 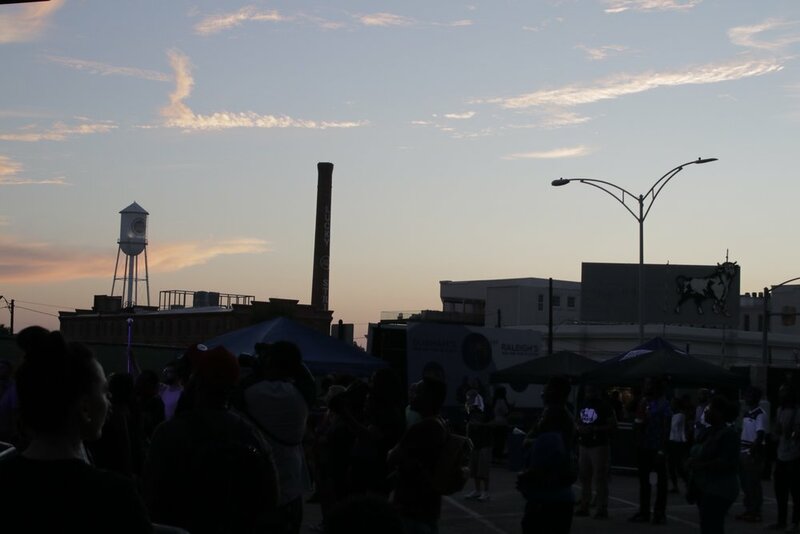 The festival set an atmosphere for the fellow Hip Hop lover to flow into the Main Street of Durham to hear great music. Lynnie and I covered last year and this year the festival went to another level. The main sound stage set the tone for an amphitheater concert vibe, the American Underground Rooftop performances were fire, press was at the illustrious 21C Hotel, and in classic B&B Festival style The Pinhook had live performances. I really enjoyed meeting some of the artists and vendors at the main sound stage. Congratulations to the planning team of the festival for successful fundraising and inspiring each of us that our dreams are only as close we allow them to be! Major salute to Chelsey Bentley and Crystal E. Taylor! Visualize if you will, a young kid on the sideline watching his older brothers play basketball. He takes note of fundamentals while formulating his own moves, plotting his arrival. Even though he’s younger, he knows the time will come when he can prove that he not only belongs on the court but he has the potential to influence the game itself. North Carolina is host to many large festivals that center around the celebration of artists and the establishment of creative platforms. The Beats and Bars Festival is the eager "baby brother" of North Carolina showcases. In just two years it has grown exponentially in funding, attendance, and credibility thanks largely in part to Crystal E. Taylor @thequeencurator and the Beats and Bars staff. It was a warm night on the rooftop of the American Underground located in downtown Durham. I sat in the back corner away from the crowd. I fought the urge to move closer and stand shoulder to shoulder with other attendees and talent. I wanted to see the whole beautiful picture as it was being drawn right before my eyes. Ironically, that’s exactly how it felt, almost like a group of patrons coming together to observe and appreciate art. We were definitely exposed to a gallery of art in the form of beats and bars. 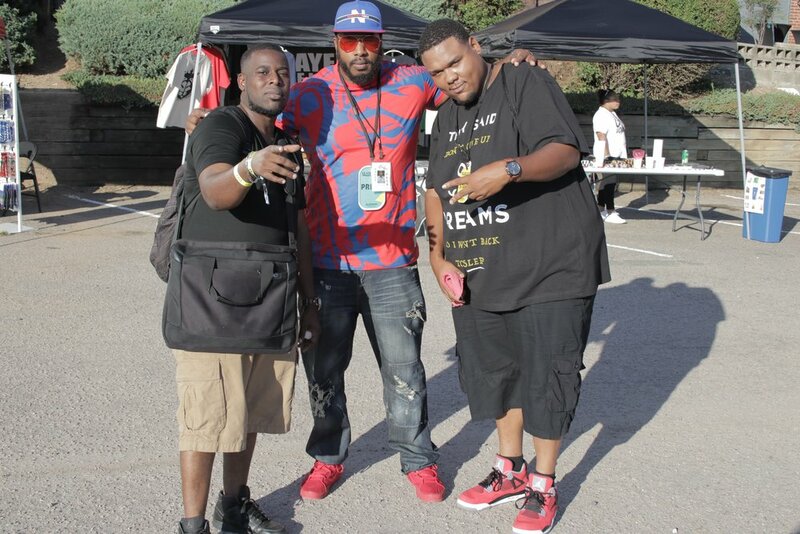 I spoke with @gomillz704 shortly after his set. Who are you looking forward to hearing spit bars? Definitely Cyhi the Prince, and Pat Junior. I hope I can see Nitty Scott but she’s down the street at The Pinhook. As far as beats, who do you work with and who is your ideal producer? I seek out producers on the internet. I get a lot of beats from a duo called the Shipmates but ideally my dream would be Kanye West or Pharrell. Also, I ran into Durham’s Mayor Candidate Pierce Freelon on the way to The Pinhook. He expressed his love for the culture and his excitement for the Beats and Bars Festival. What brings you to the Beats and Bars festival? First of all, I’m an MC! Even right now I’m looking at one of the facilitators J Rowdy, he teaches MC’n at our Beatmaking and Hip Hop workshop at Blackspace Community Center. Who inspired you as far as Bars growing up? I was 5 years old, listening to L L Cool J rhyme, “I’ll take a muscle bond man and push his face in the sand!”. I got in trouble in school because they thought I was being a bully, but I was like nah that’s just LL, he said that lol. I’m not picking a fight I’m reciting bars! The festival continued into Saturday. Lot 20 located behind The Pinhook became the center stage for the festival. It felt like a live block party/ concert in the middle of downtown. 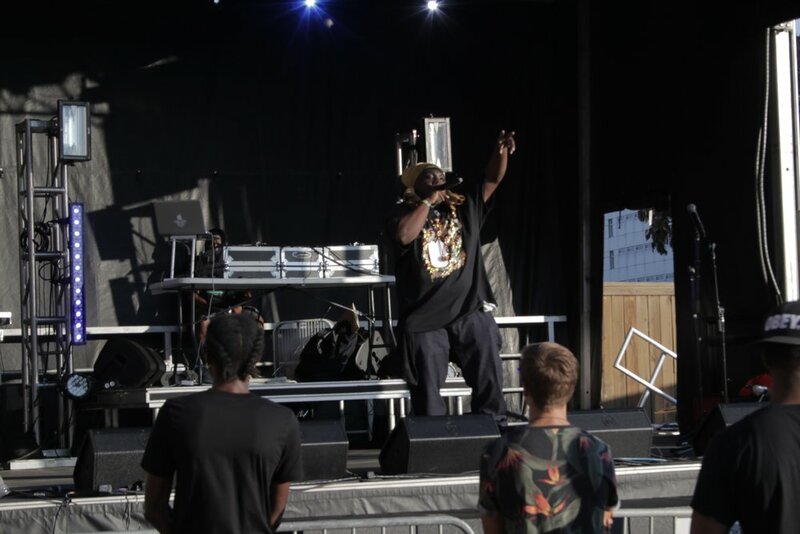 Several artists utilized this platform including Shame, Cayenne the Lion King, Illpo, Kaze, OC from NC, and the event headliner Cyhi the Prince. 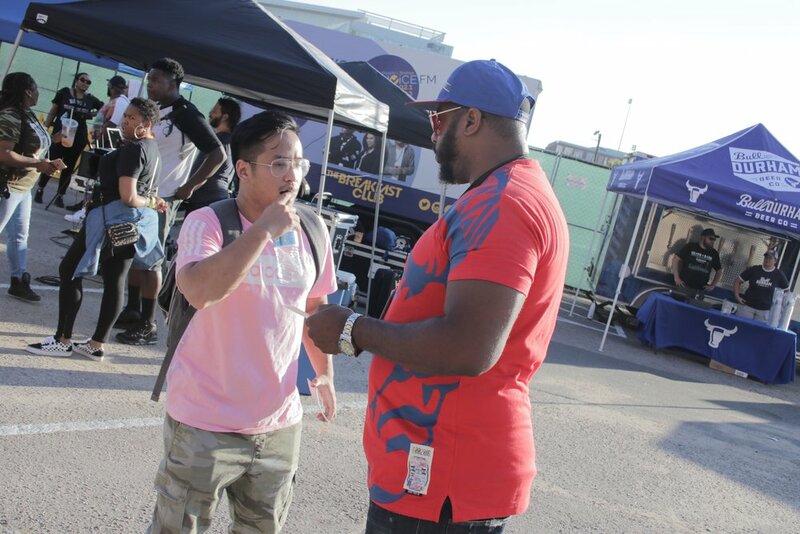 I was able to speak with ½ of the newly formed group Stallone and Weathers, Rapper/Producer and DJ for several of the event’s performing artists K-Hill. When you think of a great mix of beats and bars, what beats and bars come to mind? What’s one of your favorite verses of all time? L L Cool J’s verse on (I Shot Ya)” What the f&#k, I thought I conquered the whole world! Lol. If the amount of people in attendance as well as the people sneaking looks from the above parking garage is an indication of the festival’s popularity? Then you can expect more local artists, more headliners, and overall more Hip Hop enthusiasts for years to come. Although the Beats and Bars Festival is in its second year this "baby brother" can run with the "big boys" and you might not wanna leave him open.